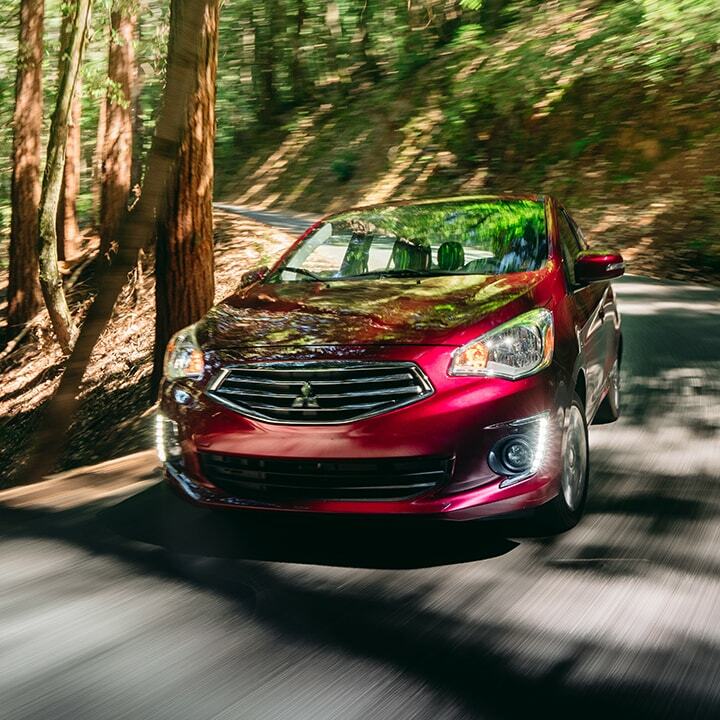 If you want a sedan that is both fun and affordable, you may want to take a look at the 2018 Mitsubishi Mirage G4. This sedan is the closely matched relative of its counterpart, the Mirage Hatchback. 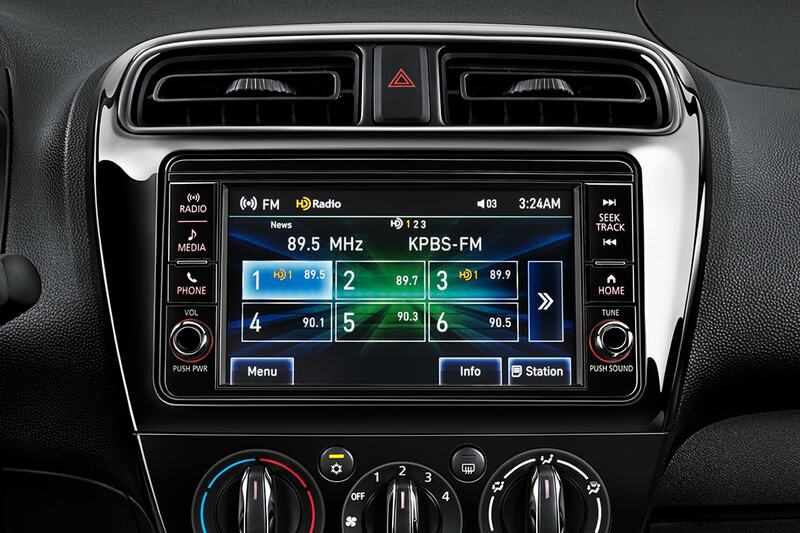 New additions to this year's model include the base ES trim's Bluetooth connection, rearview camera, and a 7-inch touchscreen. 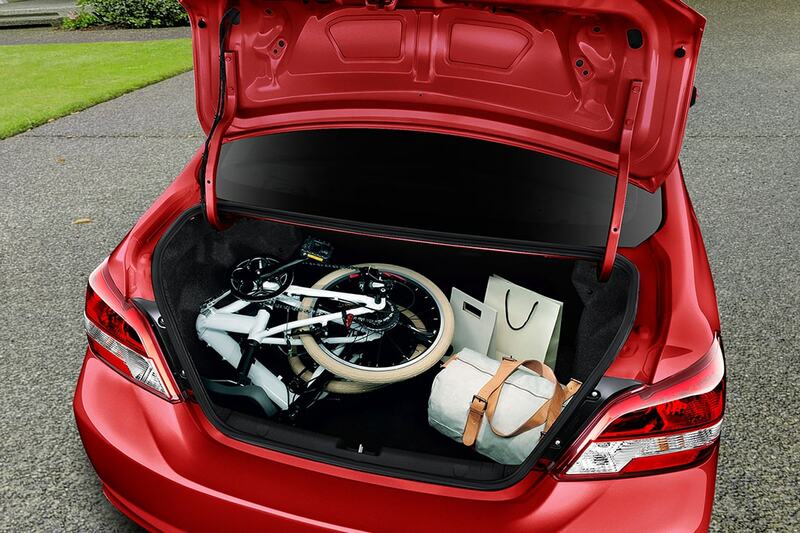 This 2018 Mirage G4 is spacious, fuel efficient, and comes with high quality technology. If you are interested in learning more about the trim levels, engine capability, and safety features, please read on! What are the standard safety features and what warranties are available? This Mitsubishi can be found with many features for safety and security including a rearview camera, and engine immobilizer, front seat-mounted airbags, a knee stabilizer airbag, active stability control sensors, traction control, ABS, side-curtain airbags, enhanced visibility, and high energy absorbing crumple zones. On top of this, you can also find many warranties, like a non-transferable powertrain warranty for up to 10 years, a corrosion/rust thru warranty for 7 years, or even a roadside assistance program warranty for up to 5 years. 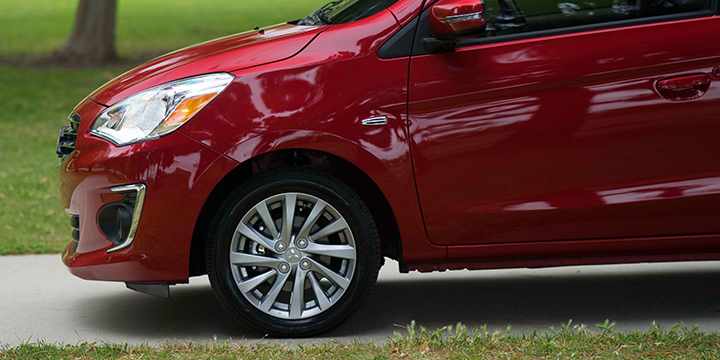 The base trim of the Mitsubishi Mirage G4 is the ES. This trim level comes with standard features like a tilt-only steering wheel, a 7-inch touchscreen display, a rear spoiler, 14-inch steel wheels, air-conditioning, automatic headlights, a four-speaker sound system, a USB port, a rearview camera, a CD player, Bluetooth connectivity, and full power accessories. On the ES trim, you can also add the Smart Phone Display package for 15-inch alloy wheels, smartphone integration, a 6.5-inch touchscreen, cruise control, and a leather-wrapped steering wheel. 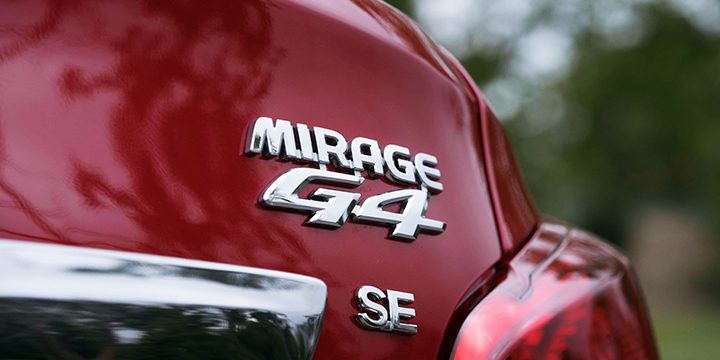 The second trim of the Mirage G4 is the SE. 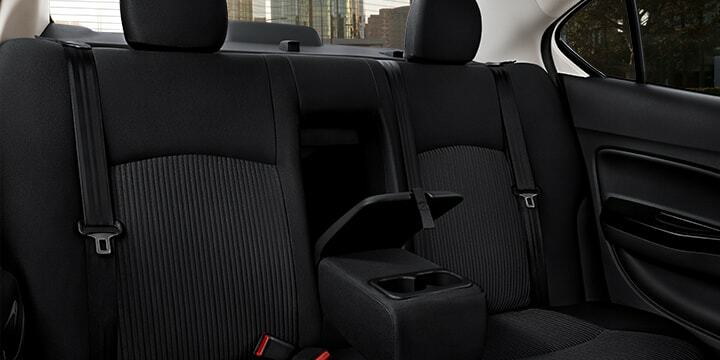 This trim comes with all the previously listed features plus automatic climate control, foglights, keyless ignition and entry, a height-adjustable driver seat, an auto-dimming rearview mirror, and heated front seats. Available standalone features would include cargo nets, mud flaps, aerodynamic flourishes, rear parking sensors, and interior lighting. What is the average fuel mileage? 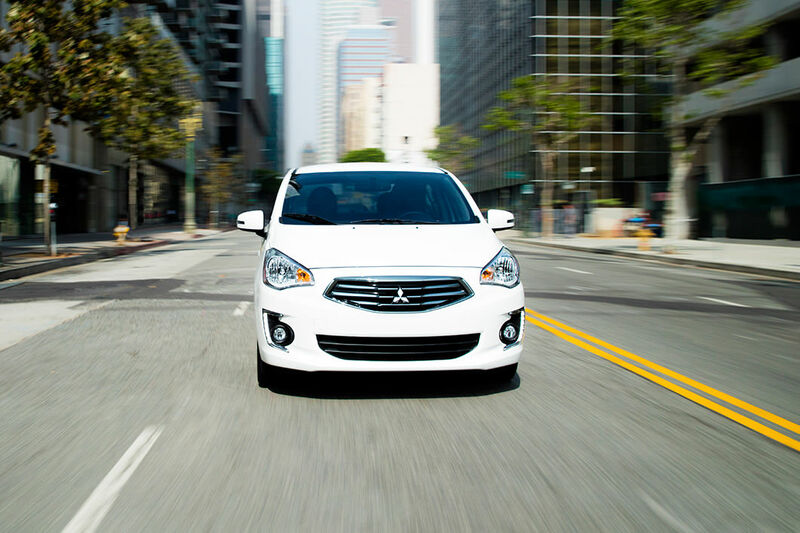 Under the hood of the 2018 Mitsubishi Mirage G4, you will find a 1.2-liter inline-3 engine. This engine has the ability to produce 78 horsepower and 74 lb-ft of torque. With a manual transmission, this engine was given an EPA rated fuel economy of 33 miles per gallon in the city and 40 miles per gallon on the highway. 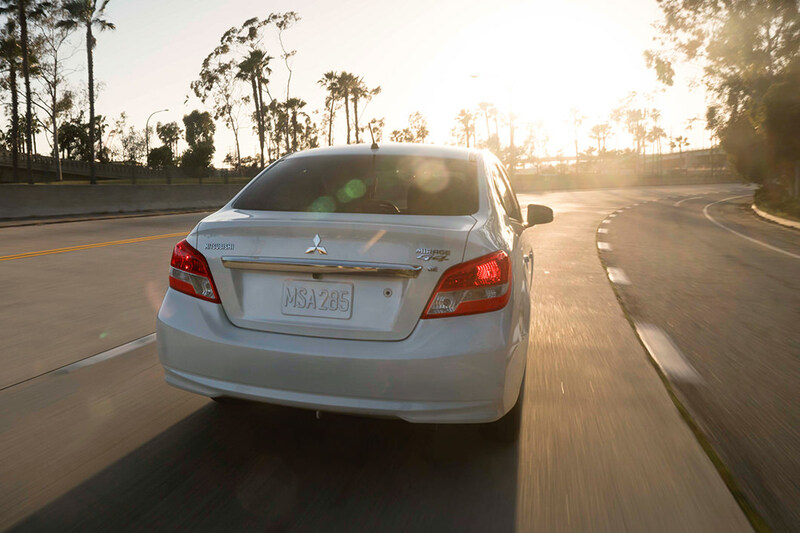 With an automatic transmission, this sedan receives an EPA rated fuel economy of 35 miles per gallon in the city and 42 miles per gallon on the highway. The two transmission options are the five-speed manual or the continuously variable automatic. 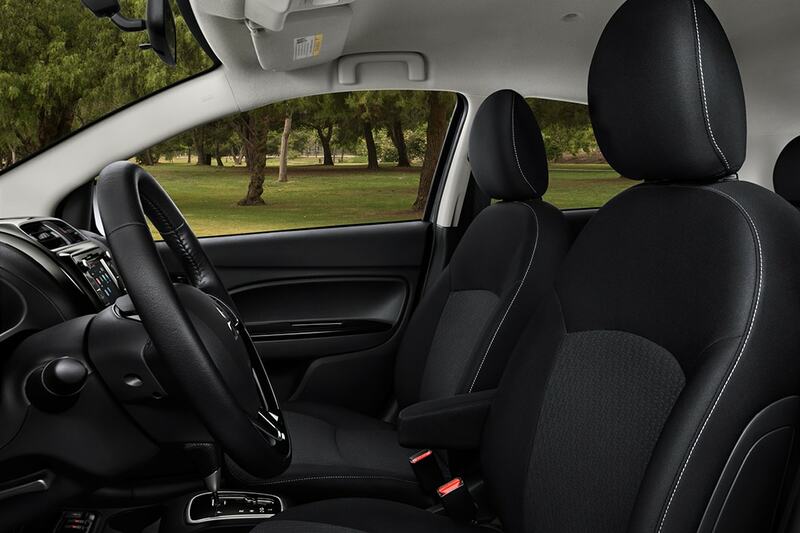 Do you have any further questions on what the Mitsubishi Mirage G4 has to offer? Please give us a call or stop by the lot and take one out for a test drive today! We would love to give you a personal tour!